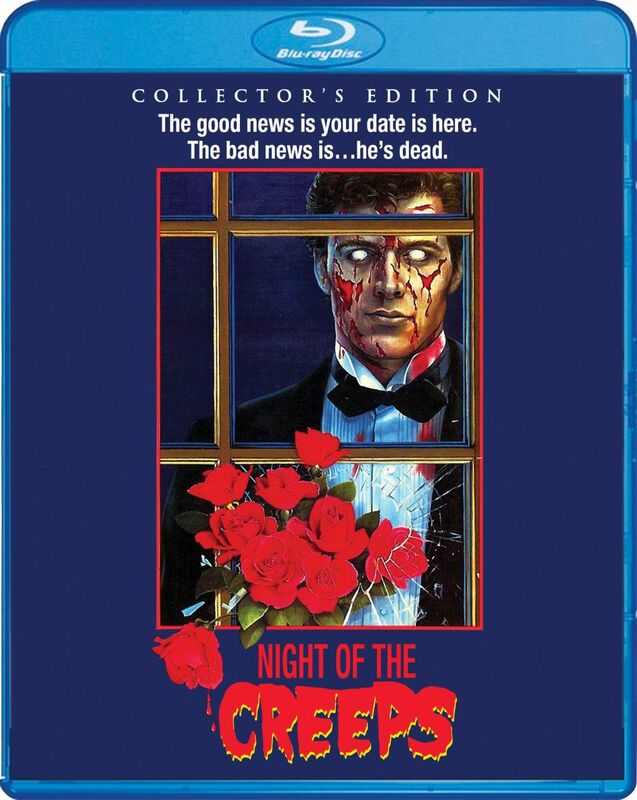 • We are releasing a new Blu-ray of the popular 80s cult classic NIGHT OF THE CREEPS, which is planned for a May 28th Street Date. Region A. US & Canada. • This will be presented as a Collector’s Edition and will come guaranteed with a slipcover in its first three months of release. • Extras and final specs are in progress and will be announced on a later date. All extras from the prior U.S. Blu-ray release will be ported over and new extras are underway. Director’s Cut of the film is a given and we are working towards also providing the theatrical cut of the film (which had a different ending) as well. We’ll let you know of our progress in April. STANDARD OFFER (which will also be made available through other retailers throughout the month). 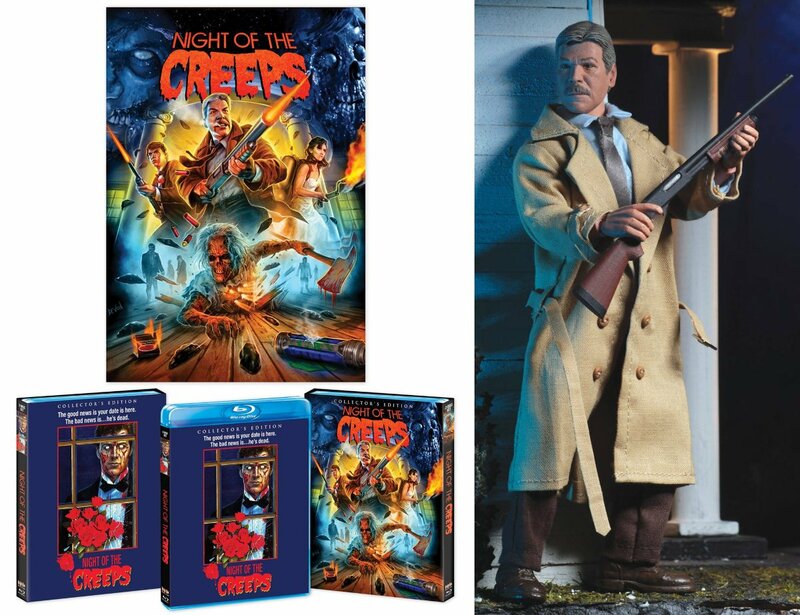 - Receive an exclusive, limited edition 8” tall Detective Ray Cameron (Tom Atkins) action figure created by NECA - N.E.C.A and officially approved by Mr. Atkins himself! This will only be made available here exclusively on our site and will not be sold elsewhere or at a later date. - Free Standard Shipping on U.S. Orders. We anticipate this one-of-a-kind offer to sell out. Lock in your pre-order ASAP!" On upgrading this BD BUT I WANT THAT FIGURE!